If you are planning an Easter dinner – or even if you’re not – you may be thinking about a centerpiece. Instead of paying a small fortune for a store bought piece, why not consider making one yourself. After all, DIY is what you love, right? We have collected 40 of the top Easter centerpieces that range from elegant and classic to fun and colorful. Whatever your preference, whatever your style, we are sure to have a centerpiece in this collection that you can make yourself and really wow those dinner guests. From plastic eggs to marshmallow Peeps, there is sure to be a piece that is going to capture your attention and that of your dinner guests. Most of these can be made with supplies that you probably already have on hand and if not, many of them are really inexpensive and so easy that you can make them in a couple of hours or so. I do love Easter crafts, and this paper flower Easter basket is one of my all-time favorites. 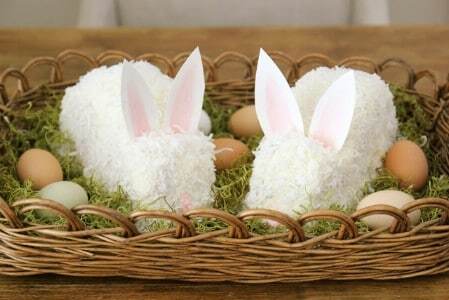 The little basket holds just one egg, but a few of them would make a beautiful centerpiece display for your Easter dinner table. You could even do them in different colors – just get a few different colors of tissue paper and make one for each of your loved ones – complete with their own little egg. This is so simple and it only takes you about 15 minutes to make each one. This little DIY Easter decoration is so easy to do. For this one, you’ll need a standard Styrofoam cup, which you can get from the Dollar Store in a pack of 10 or more really cheap. 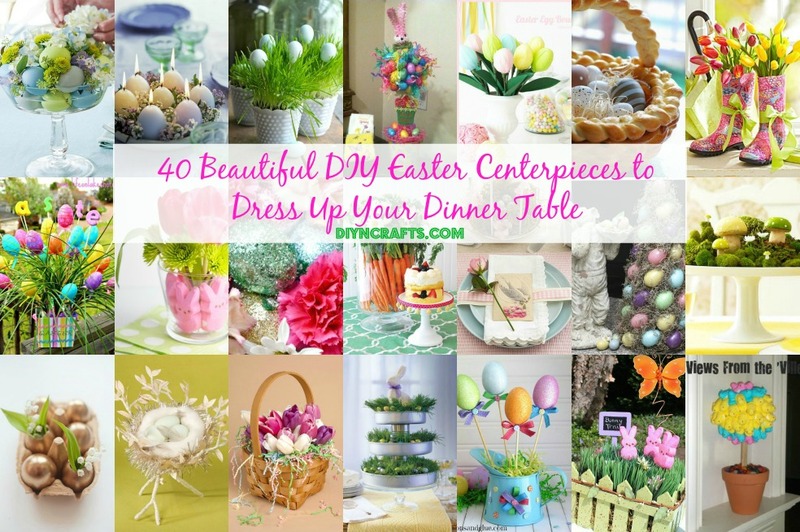 Since you’ll have all those extras, you can do several of these and make them a beautiful centerpiece for your Easter dinner table. This is so easy, and you don’t need a lot of supplies to make it. 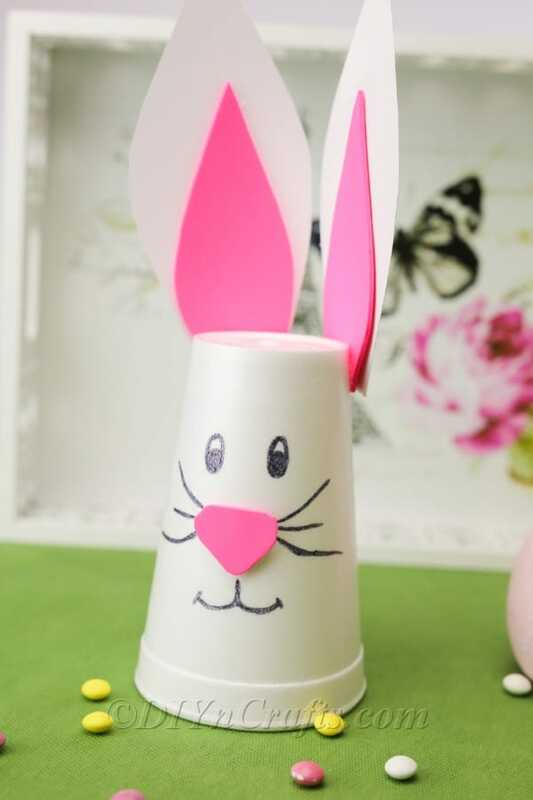 Start with the cup, and then you’ll create the ears and nose from cardstock and pink craft foam. Then draw on the face, and you have the most adorable centerpiece for Easter. 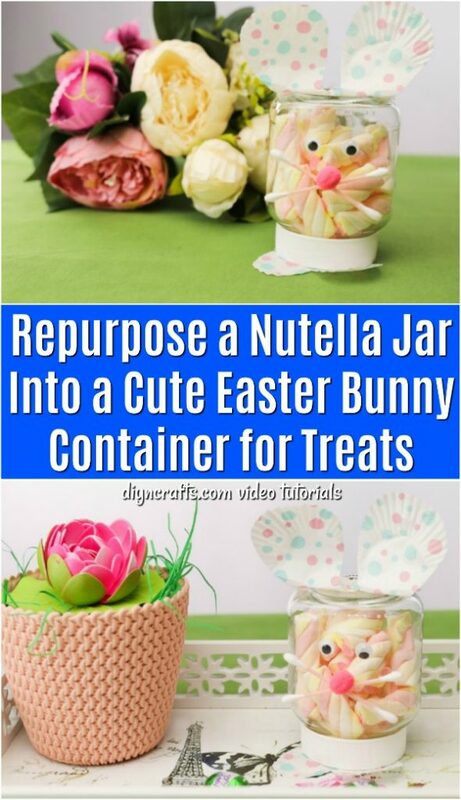 If your centerpiece is typically a collection of different Easter decorations, this repurposed Nutella jar project is perfect. 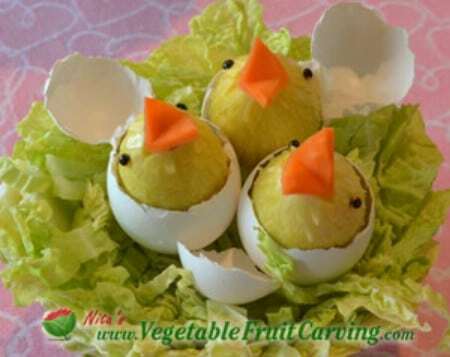 You can make a couple of these and add a few plastic eggs around them to create the most adorable Easter centerpiece ever. This little jar holds so much Easter candy and it only takes about 15 minutes to make, from start to finish. Plus, you get to repurpose some of those empty jars, so this one is a win-win all the way around. 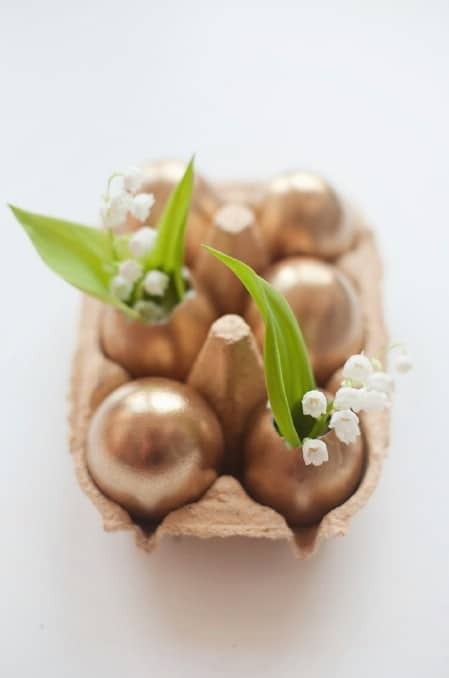 Golden Easter eggs create beautiful little vases when you blow out the insides and paint them. 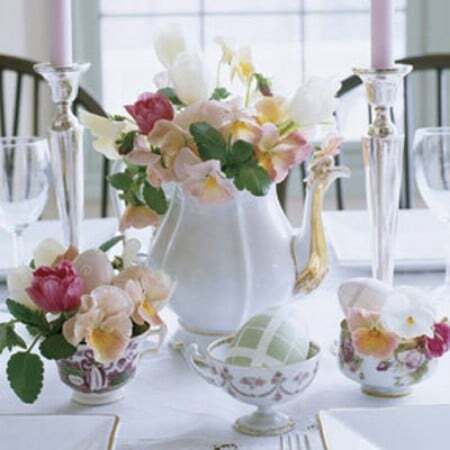 You can use those vases to create a stunning centerpiece for your Easter dinner table. 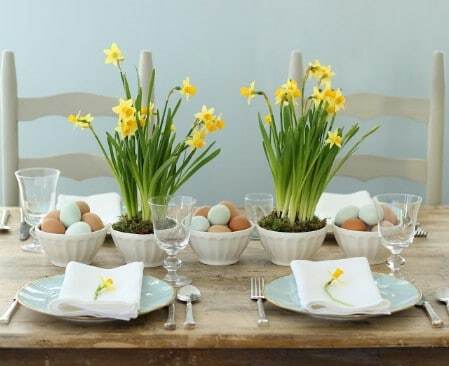 The small eggs will hold various flowers like baby’s breath and other smaller varieties and you can use individual boiled egg holders to support them or integrate them into other centerpiece ideas. Adorable and colorful, marshmallow Peeps are good for so much more than just eating – although they are quite yummy. 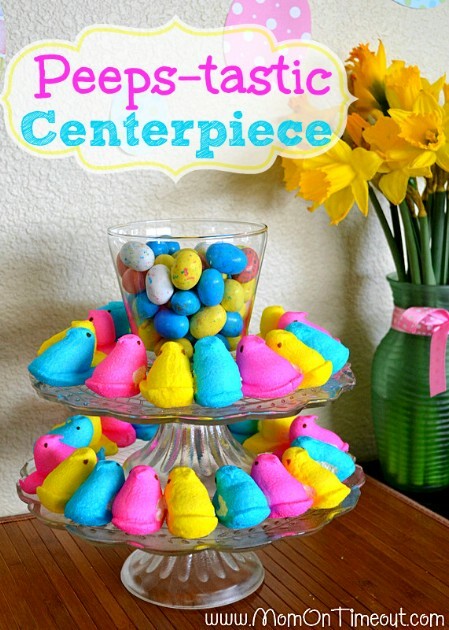 You can use different varieties of Peeps to create a very attractive centerpiece. Robin’s egg candies or malted milk balls in spring colors work great with the Peeps to add a bit of contrast and the colors are perfect for Easter. Just grab a few extra bags of candy and put together a centerpiece that will double as a dessert once dinner is finished. I love the idea of using a planter as a centerpiece. If you want something gorgeous for your dining room table this Easter, this repurposed planter is perfect. 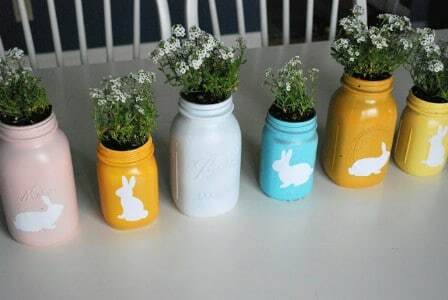 You turn an ordinary planter into a cute little Easter Bunny, and you can fill it with spring flowers for your table or use Easter eggs and other smaller decorations. This is one of the simplest centerpieces that you can make, and it only takes about 15 minutes from start to finish. 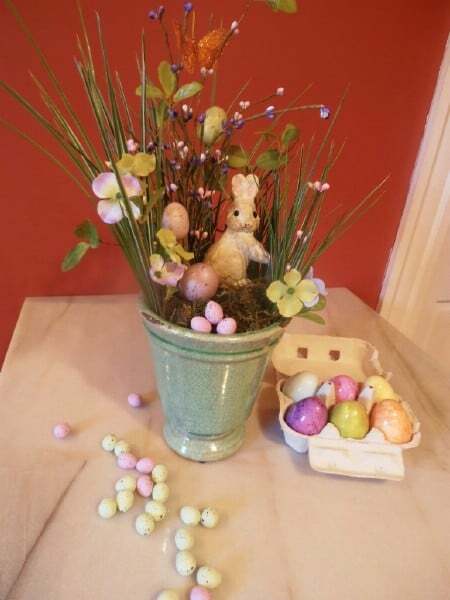 Using up those leftover eggs from the egg hunt is easy when you make them into a centerpiece. If you don’t have any left over, just color a few for your table and you can turn them into egg salad the day after. You just have to choose how you want your Easter eggs displayed which will determine how many you need. Baskets of eggs combined with flowers are always a good idea for centerpieces or you could be completely creative and come up with different methods for displaying them. 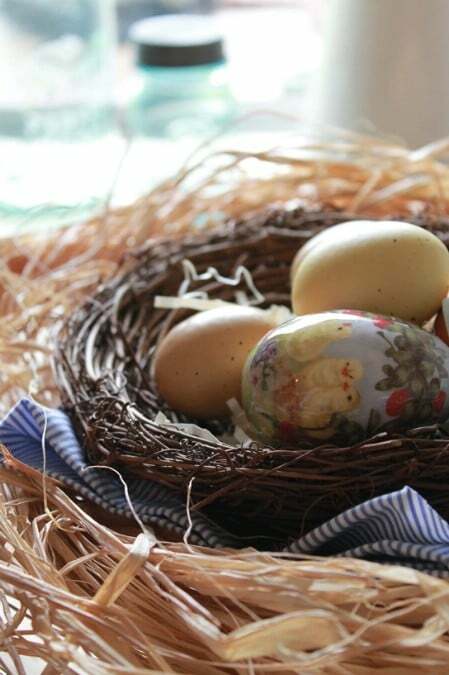 Adorable eggs in a nest will add an elegant flair to your Easter dinner table. You can use real eggs or plastic or wooden ones, whichever you have on hand. The lighter pastel colors are very classic and elegant and if you prefer, you could go with bolder and brighter colors. It all depends on the statement you want to make and how you are planning to dress up your table otherwise. This centerpiece is very easy to put together and you probably have everything you need on hand. 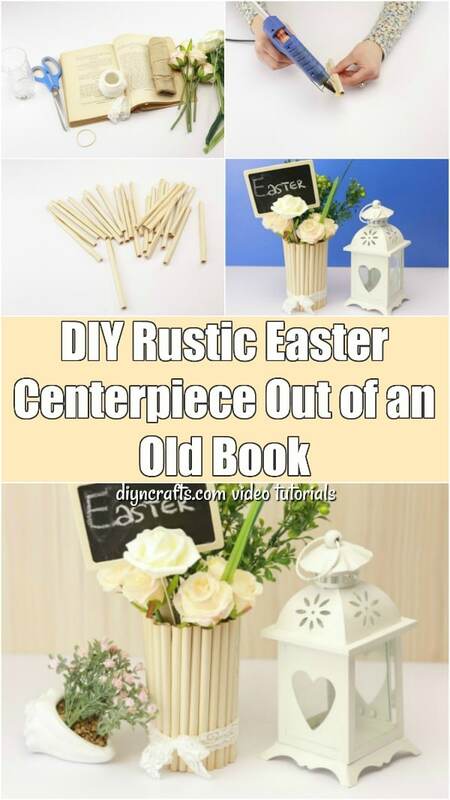 I love this rustic DIY Easter centerpiece that you make from an old book. If you don’t have an old book to use for this one, check out your local thrift store or a couple of yard sales, and then use the pages to create this gorgeous centerpiece. 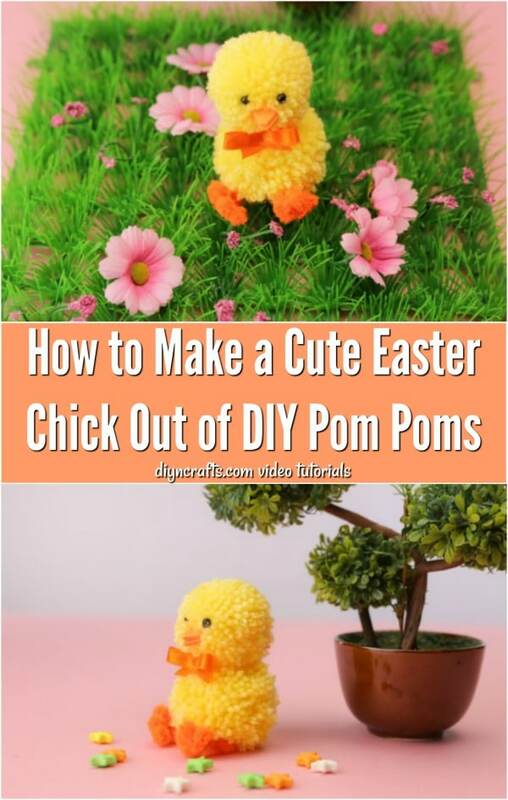 You can turn ordinary yarn into this adorable DIY Easter chick in just a few minutes. 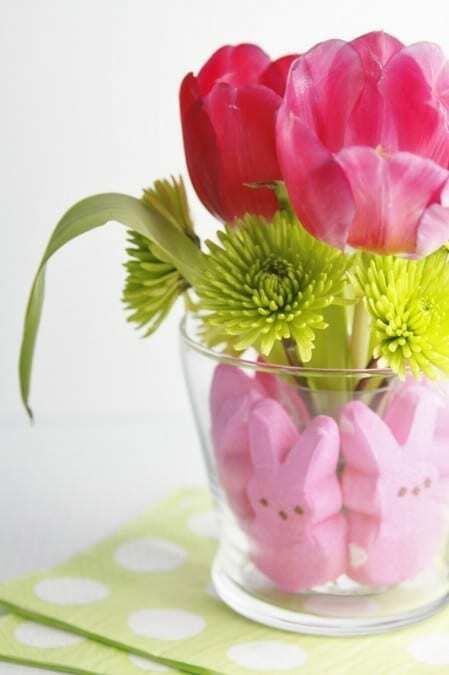 These are so cute – put a few of them together and build your own DIY Easter centerpiece! This colorful vase is the perfect centerpiece for your Easter dinner table. You can make this with supplies that you already have on hand, and you can use fresh or faux flowers, depending on your preference. 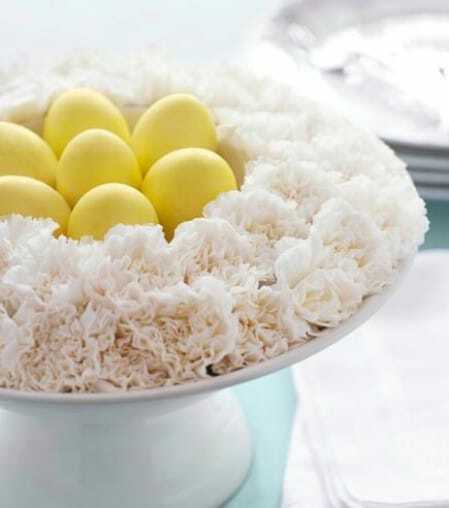 Little marshmallow Peeps seem to be peeking out of the glass vase in this great centerpiece idea. 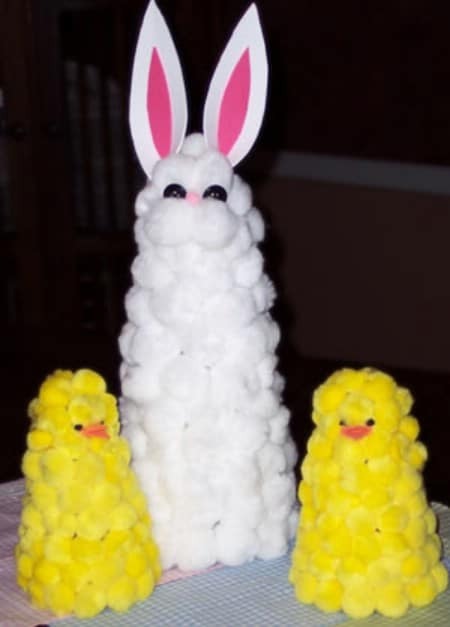 You can choose any clear glass container that you want and fill it with silk or real flowers, although you probably shouldn’t put water in there if you are adding the Peeps. You can use Peeps of any color or if you want to make it really colorful, add a few of different colors. 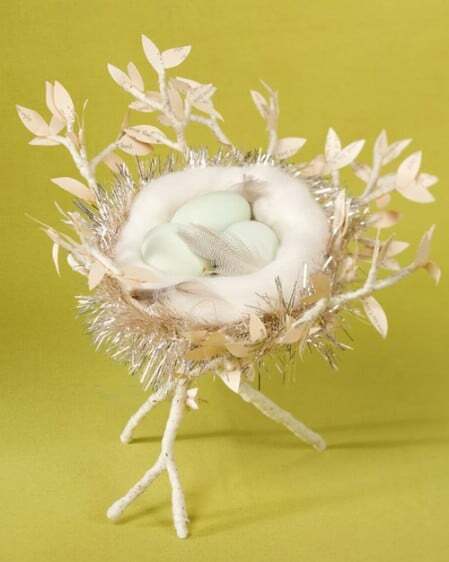 If you have a cake plate or other pedestal type dish, this raffia bird’s nest is the perfect centerpiece. It is elegant and can be decorated in any number of different ways to hold eggs, candies or just whatever you want. Add eggs that you can speckle yourself or your favorite dyed or otherwise decorated eggs to make it look authentic. The raffia gives it a really neat natural look and it is sure to dress up any dinner table beautifully. 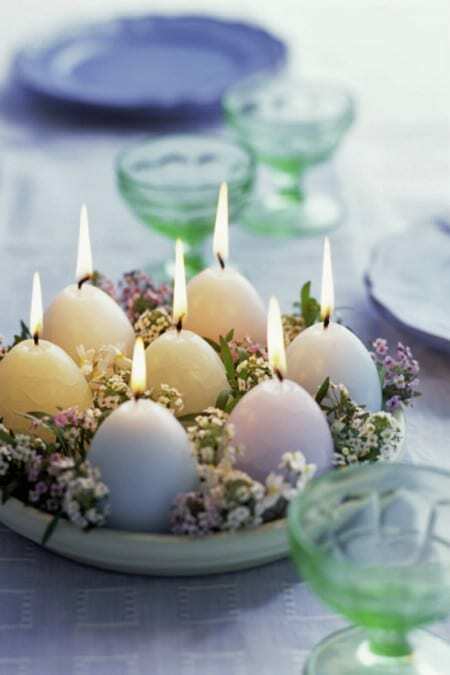 You can buy egg shaped candles at most Dollar Stores or craft stores or if you are really creative, you could simply make your own. When combined with flowers and other greenery, these candles will give you a beautiful and glowing centerpiece that is perfect for those late at night dinners. You can set the entire thing up on a glass plate or other dish and add a few embellishments if you wish. This colorful bag shaped centerpiece is fun and will certainly give your dinner table a boost. You can add plastic or wooden eggs on dowels and wooden letters to spell out a message to your guests. You can find the square vases at most Dollar Stores and the monkey grass should be readily available at your favorite craft store. When it’s all put together, this is a bold, colorful and very fun centerpiece that is sure to please all of your guests. Whether you want something for the dinner table or you are looking for a centerpiece to dress up a hallway or entry table, glittery Easter eggs and colorful flowers are sure to give your home a great Easter pick me up. 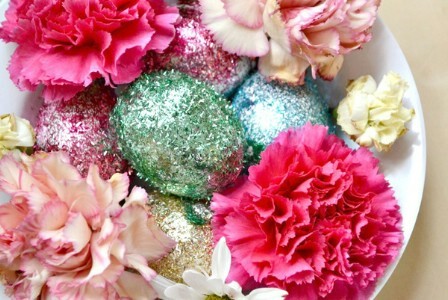 You just have to cover plastic or wooden eggs with glitter or you could buy them already done. Add flowers (real or silk, it’s up to you) and your centerpiece is complete. You could do smaller ones of this to add to smaller tables or to make place settings for your dinner table. What would Easter be without Peter Cottontail himself? 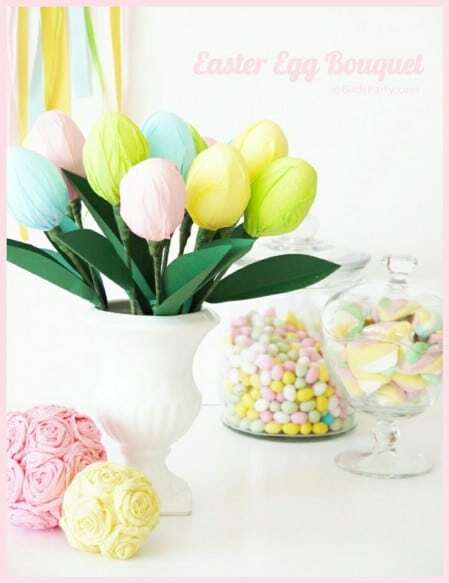 This whimsical centerpiece can be done in so many different ways and all of them pay a nice tribute to the Easter Bunny. You can use stuffed or otherwise cartoonish bunnies or use porcelain or glass to give your centerpiece a really elegant look. The entire thing is finished off with grass and of course, Easter eggs. Flowers make beautiful centerpieces and tulips are one of the most beautiful flowers in the world. They are also perfect for Easter. You can buy tulips at the florist if you don’t have some blooming at your home or get silk ones if you prefer. 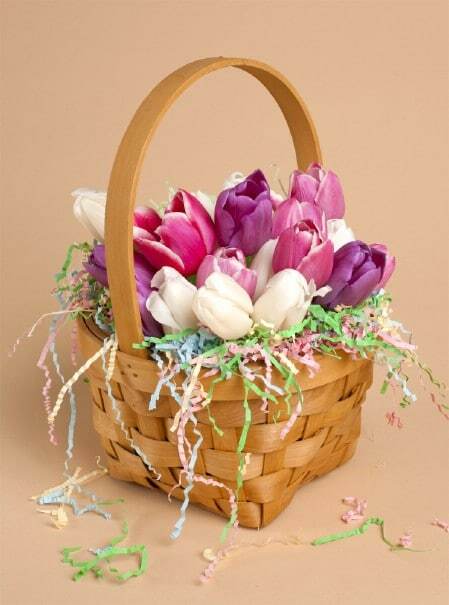 A simple basket filled with these lovely flowers in varying colors is sure to create a beautiful focal point for your Easter table. If you have a tiered cake display or something similar, you can use it to create a beautiful centerpiece that houses a white chocolate – or chocolate if you prefer- bunny on top. This gorgeous centerpiece is filled with wheatgrass which you can find at most health food stores and you can add smaller eggs to the mix if you like or small votives if you want to set a more romantic mood. Small colorful buckets, a Raz bunny head, some Easter grass and a few of those leftover Easter eggs will work nicely in creating a fun and colorful centerpiece that is the perfect focal point for any Easter table. You can use this in the hall or entryway to greet guests as they enter your home or set it on your Easter dinner table to spark lively conversation. 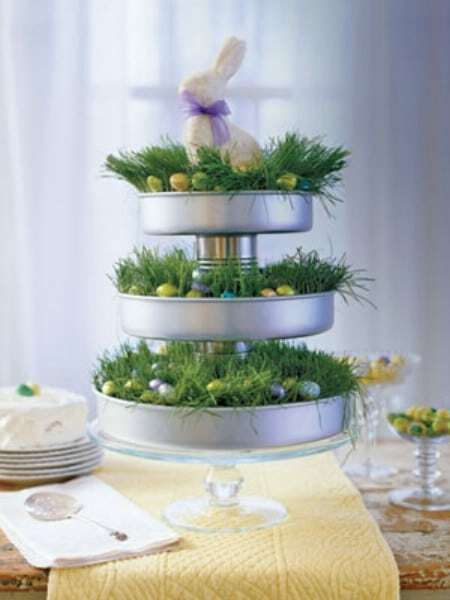 Adorable chocolate bunnies atop a cake stand will make a very attractive, not to mention very yummy, centerpiece. 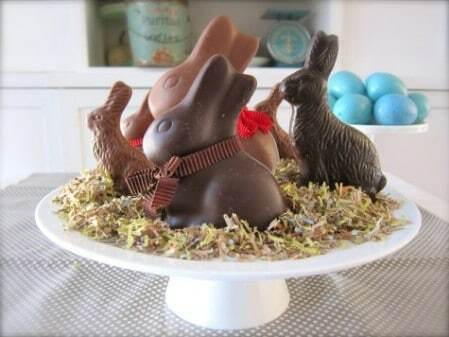 If you can keep the kids from eating these little bunnies, your table will be perfectly set with chocolate which can double as dessert if you wish. You can buy chocolate bunnies at most stores starting at around a dollar and you can get different sizes and types to make it a bit interesting. In about five minutes or so you can create a beautiful landscape centerpiece to add to your table. This beautiful creation includes grass, eggs and of course the Easter bunny. You can add flowers, candied eggs or just anything that you want to make your tablescape unique. 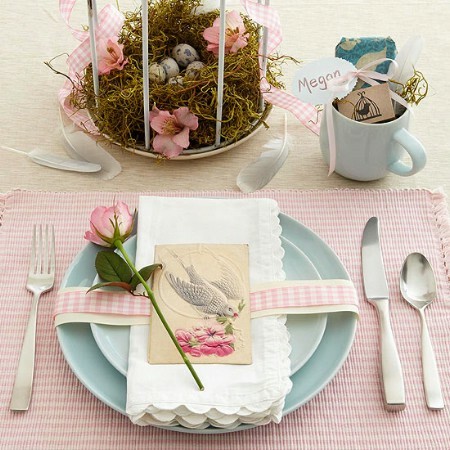 Imagine what you think Easter Land would look like and create that for your dinner table. If you are looking for a centerpiece that is fun and whimsical, this rubber ducky piece is perfect. 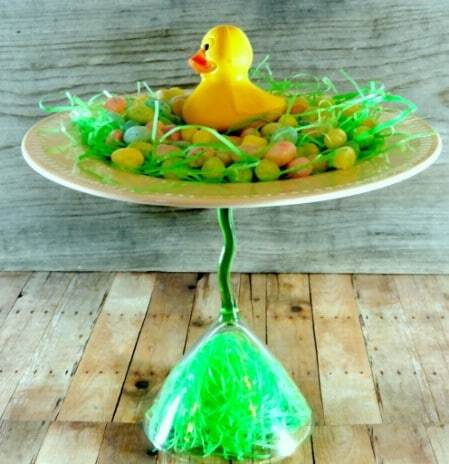 You can even make your own homemade pedestal stand for your ducky to perch on and then simply surround him with Easter grass and a few plastic or candy Easter eggs. Most of the items needed to make this centerpiece can be purchased at the Dollar Tree so it is very inexpensive and is sure to be a hit, particularly with younger ones. Carrots are certainly something that you want to have on hand for Easter. After all, the Easter bunny himself loves carrots. 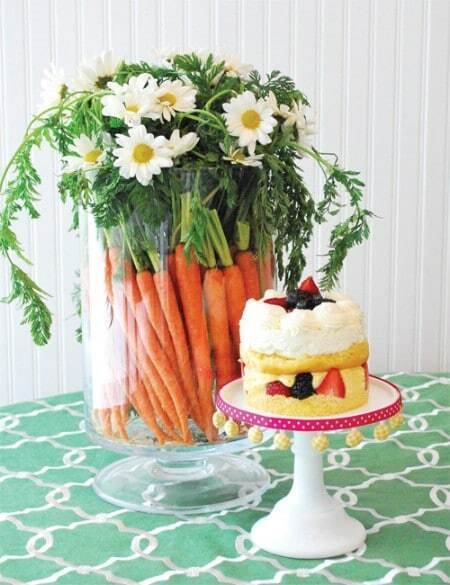 You can use those carrots to create a nice centerpiece that will look beautiful on any table. Carrots with the top greens intact will look beautiful when you add daisies and other flowers to offset the greenery. Why not make the centerpiece for your Easter dinner table the dessert as well? A coconut bunny cake is perfect for dessert and when dressed up properly, it can work as a beautiful centerpiece as well. 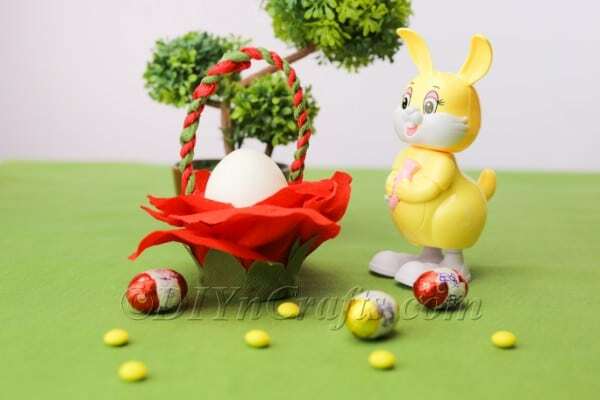 You can nest your little bunny on a bed of grass made from green colored coconut and add a few candy Easter eggs around as well. This centerpiece is as yummy to taste as it is beautiful to look at. Birdcages are great for Easter decorating. You can create a lovely centerpiece that will look nice on your dinner table or just adorning the table prior to Easter with a birdcage, a bird or two and some wheatgrass or fake grass that you can buy at a craft store. Add a few flowers near the bottom and decorate however you like. Match the birdcage to your dinnerware or make it stand out by adding bright colors. 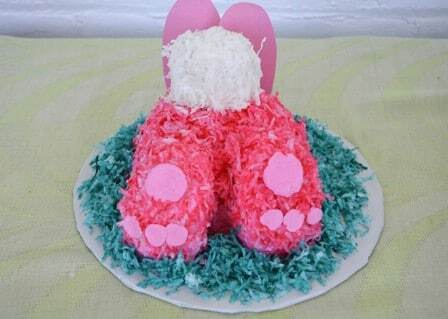 A whimsical Easter bunny bottom cake is the basis for this adorable centerpiece. You can bake the cake and then decorate it however you want. It looks like the bunny has been hiding his head in the dirt and you can add “dirt” or simply make grass from colored coconut. 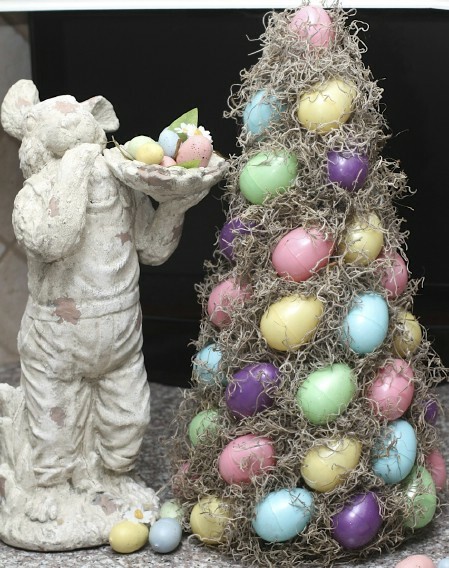 Throw in a few plastic eggs or candy robin’s eggs to complete the centerpiece. These chicks and Mr. Easter Bunny himself are adorable and will make a really cute centerpiece for your Easter dinner table. This is a great project for brunch or you could simply set it up on a hall or entry table to greet people as they enter your home. You can make the characters in just a few minutes each and put them together however you want to create a little Easter scene. Put those tulips or other flowers to good use as a centerpiece and really dress them up with kids’ colorful rain boots. This is an adorable centerpiece that will take you literally minutes to put together. 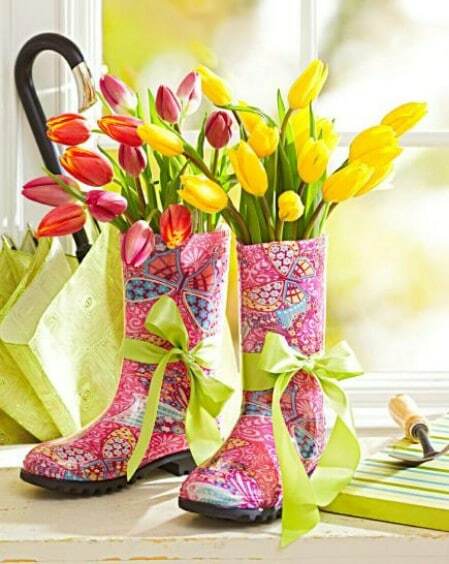 You will need a pair of relatively small rain boots and then choose the flowers that you want to add. This adds the beauty of flowers with a fun “vase” in the boots and has as many different colors as you want to incorporate. 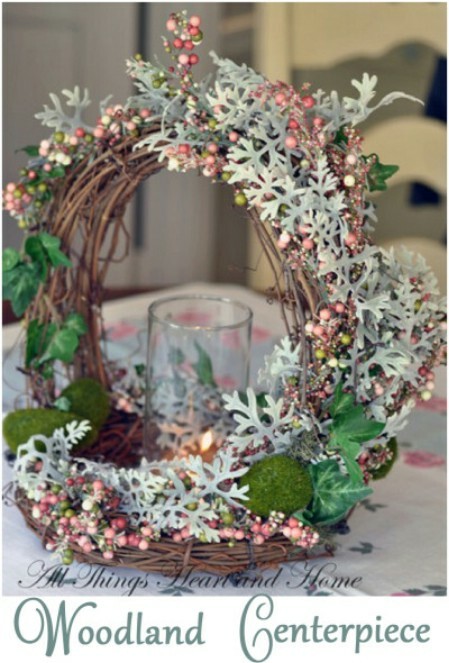 Creating a centerpiece is all about fun and making an easy one is all about what you have on hand. If you have flowers, carnations in this piece, you can put together a base for holding colorful Easter eggs which will give you a lovely centerpiece that is sure to get attention from your dinner guests. Use eggs of one color or incorporate different colors if you really want something bold and attention grabbing. 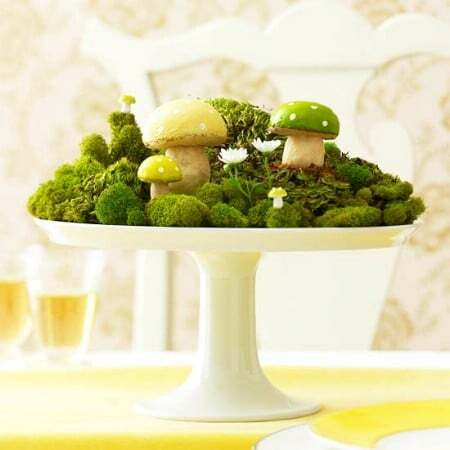 Spring is all about greenery and new growth and this adorable mushroom centerpiece has plenty of greenery to go around. You can use wooden or plastic mushrooms that you should be able to find at your craft store or Dollar Store and then just add the moss or other greenery to give it a nice base to sit on. Put it on a pedestal and you will have an adorable spring centerpiece. 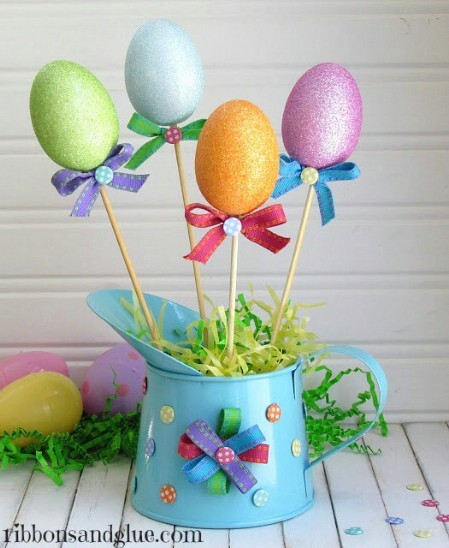 Styrofoam balls, wooden dowels, a terra cotta pot and of course, marshmallow Peeps will give you the basis for a really cute and quite yummy Easter centerpiece. You can arrange the Peeps and other decorations however you want. When you are finished, this great little topiary will look adorable on your dinner table or you could make a few of them and simply have them sitting around the house for added decor. A porcelain teapot and a few flowers are all you really need to create a beautiful centerpiece that is perfect for Easter brunch. You can use glass teapots or just anything that you have on hand, really. You just need to add the flowers, real or silk, and then choose whether or not you want to also add a few small Easter eggs to the mix. Old mason jars, painted in pastel colors and with silhouettes will make beautiful centerpieces. You just add the flowers and choose where you want to display your creation. You can use several different sizes for your dinner table and have smaller ones sitting around on side tables or just put them all together on the table and arrange them however you want. Pinecones don’t have to be just for creating Christmas crafts. 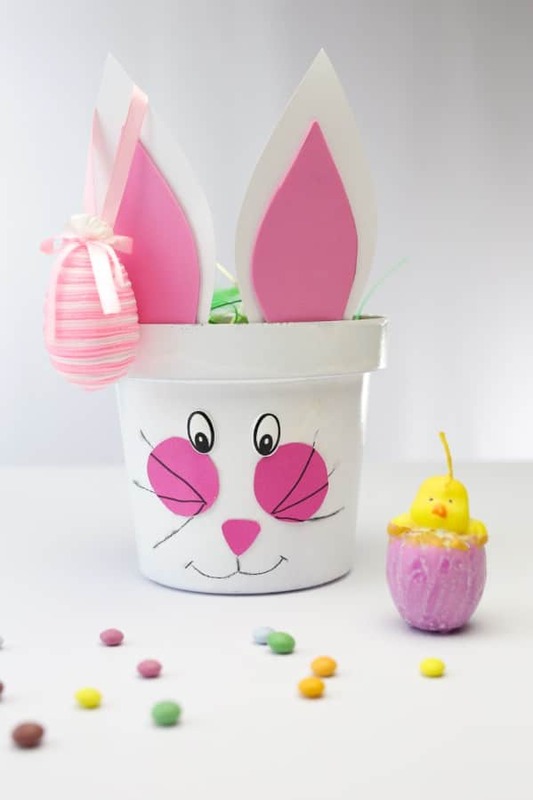 With a little pastel paint and a cute basket, you can create this really adorable centerpiece that is perfect for Easter. You should still be able to gather pinecones around your home. If not, you can buy them at most Dollar and craft stores pretty cheap. Then you just choose the colors that you want and get started. 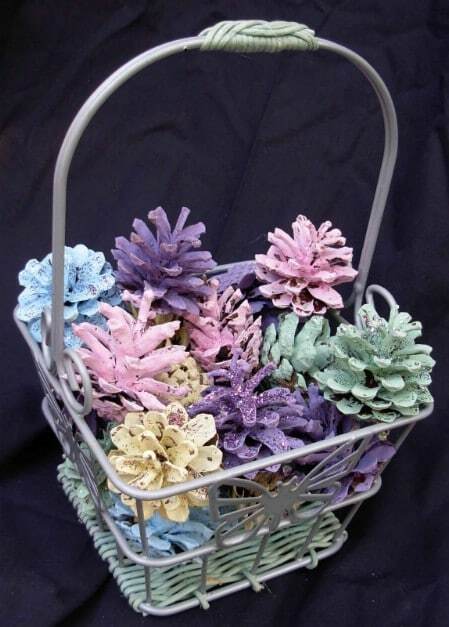 The pinecones look like really colorful flowers when they are finished. 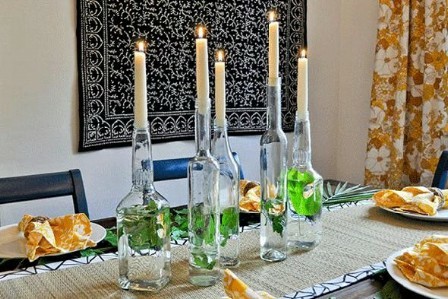 Gather up those taper candles and get ready to make the easiest centerpiece yet. You will want to have several candles in different lengths, widths and colors to make this piece. You can use whatever candle holders you want or be creative and use something that is not traditionally used as a candle holder. The more colors you use, the better your centerpiece will be. You know those beautiful yellow daffodils outside your door? 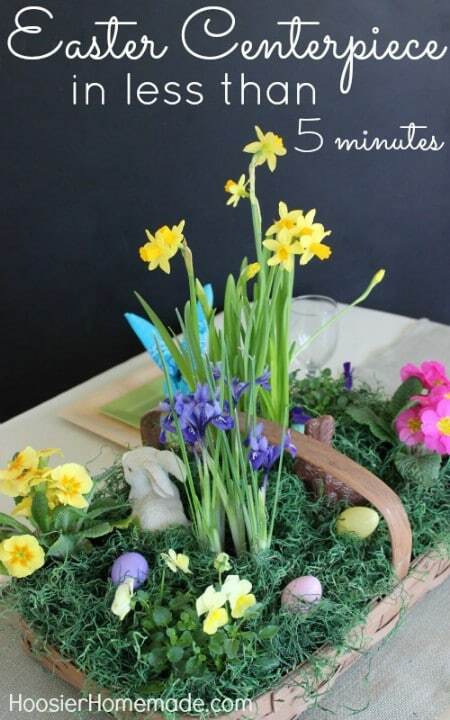 You can use those flowers to create a stunning Easter centerpiece. Yellow daffodils are often called Easter flowers because that’s when they begin blooming so they are the perfect flower for your centerpiece. This particular one uses two vases to create a larger display but you could go with as many as you like. If you want something really fun, these adorable and quiet edible Baa Baa Black sheep and White sheep are perfect. You can make them in just a few minutes and they contain goodies like M&Ms, Pepperidge Farm Milano cookies and melted white chocolate. 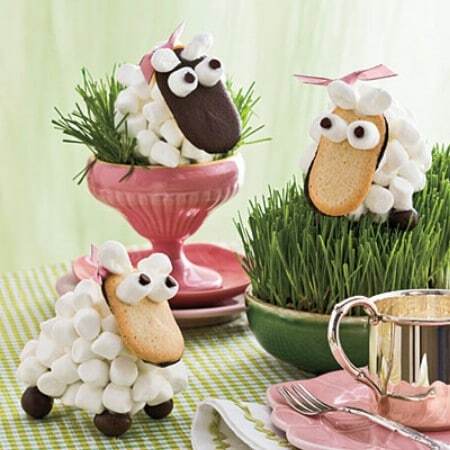 White marshmallows complete the fluffy sheep wool and you can group several of these together on faux grass to create a fun and adorable centerpiece. 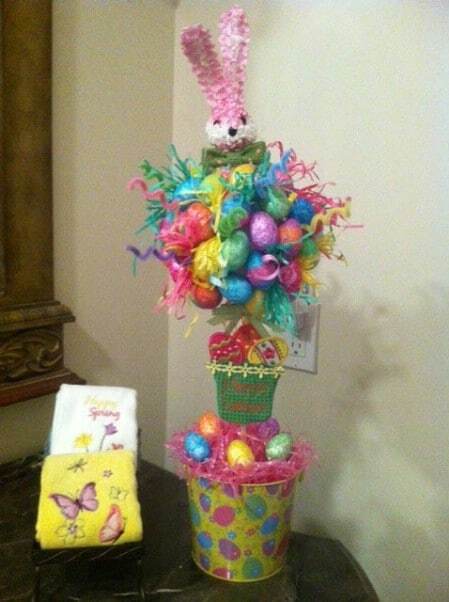 You can buy an Easter tree for your centerpiece or make one yourself if you want. 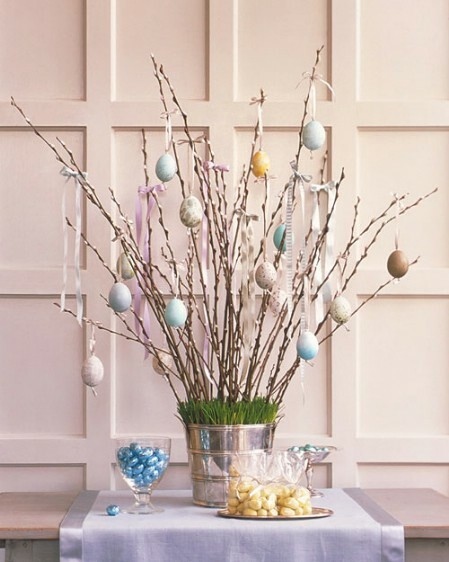 Easter trees decorated with small plastic eggs and other embellishments make great centerpieces and you can go all out and decorate eggs with the names of your Easter dinner guests. The tree is really easy to make if you should choose to do so and you can decorate it in so many different ways. You can find all of the supplies that you need to create this cute little centerpiece at your local Dollar Store. 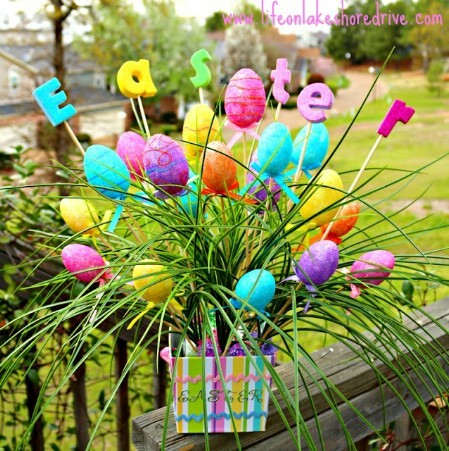 For less than $10 you can create a beautiful centerpiece that is colorful and really sets the Easter mood. You just have to choose how to put it all together and decide how big you want to go. The bigger the watering can, the more eggs and fake grass you can put in it. 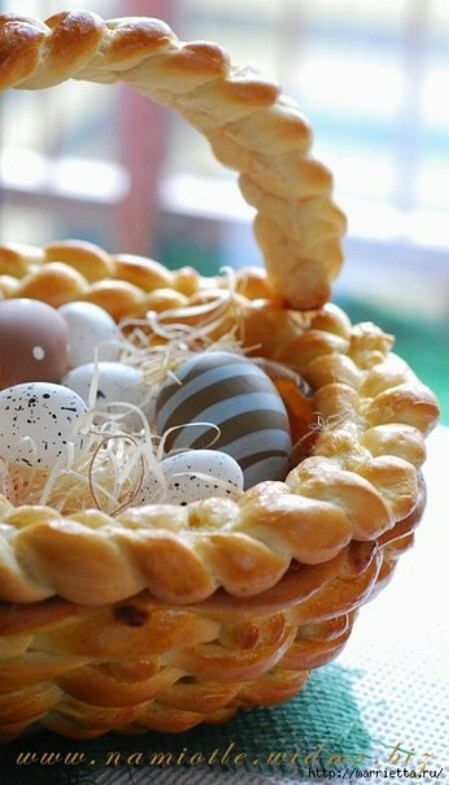 Decorate your table and store those eggs in an adorable egg basket that you can bake yourself. You may want to bake this the night before to ensure that it cools enough to hold those eggs. The basket looks just like a woven one and tastes as good as it looks. Add hardboiled eggs, plastic eggs or just about anything you want to dress it up. Get your creative juices really flowing and create an Easter Bunny that is carved from cantaloupe. You can dress him up with flowers that are also carved from fruits or vegetables or surround him with Easter eggs or various Easter candies. This is an adorable centerpiece that is sure to be a hit with kids and adults of all ages. This beautiful centerpiece is filled with woodland charm. It incorporates a glass candle holder in the center to really bring out the colors. You can easily make this piece and have it ready to adorn your dinner table at Easter or you may just want it sitting around on a side table somewhere. Twigs, buds and small flowers finish off the look and give it an elegant woodsy charm. This adorable little centerpiece will look great on your dinner table or just anywhere you want to place it. 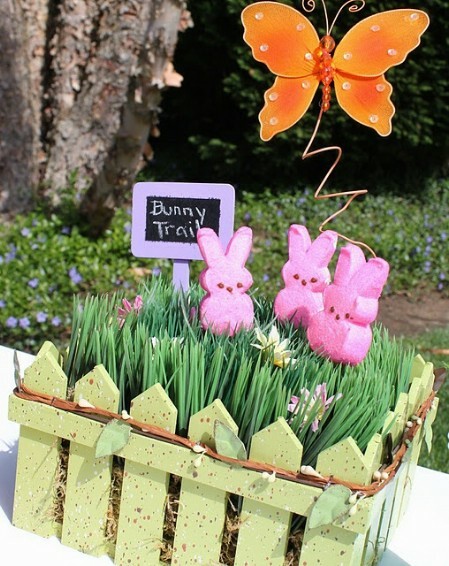 It has marshmallow Peeps and is surrounded by a garden fence, grass and other elements of a spring garden. 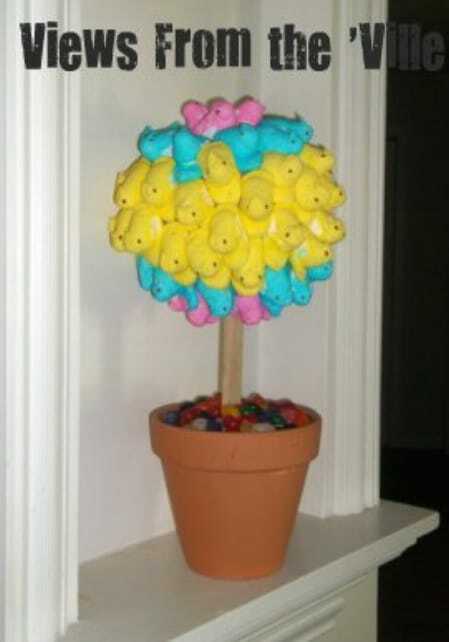 You can add just about any Easter decorations that you want to make it unique. However you decorate it, this little garden is sure to bring a smile to many faces. 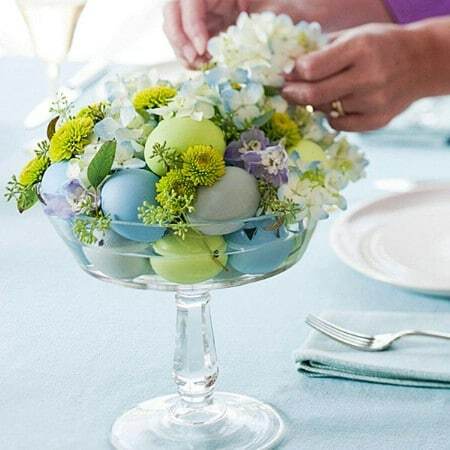 This centerpiece uses Easter eggs that double as flowers. The eggs are easy to make and you can do as many as you want to display. Have them in several different colors or all one color if you want. Add the greenery and put them all in a nice Easter themed vase and you have a beautiful bouquet of eggs that actually contain chocolate eggs underneath the flower cover. A rattan cone, a few plastic Easter eggs, Spanish moss and a few general craft supplies are what you need to create this lovely Easter egg topiary. 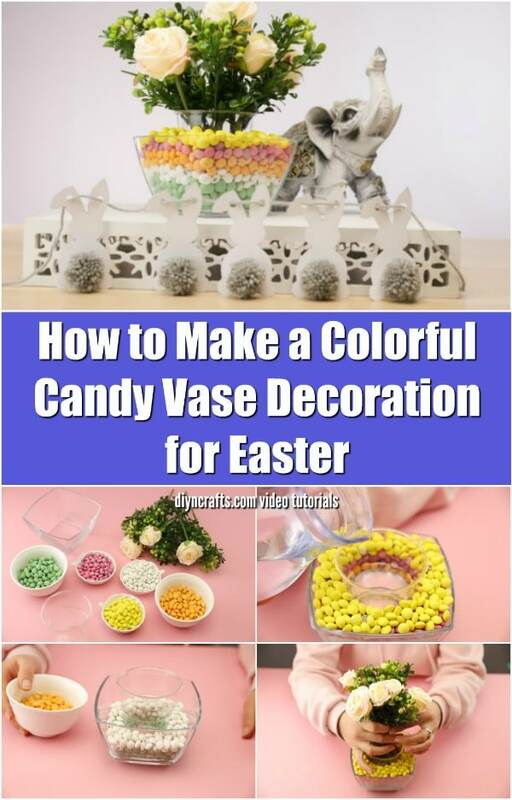 You can use plastic eggs in various different colors to make it bright and cheery or stick with just one color if you want something a bit more elegant and subdued. This is an easy topiary to make and will look beautiful adorning your dinner table.